If you’re reading these tips for a high LSAT score, you’ve probably set your target score high so you can attend a top 100 law school. If you’re not yet sure what your goal score is, start by reviewing Setting LSAT Prep Goals. Knowing your starting point and how far you have to go is critical to achieving the LSAT score you need. If you’re targeting the upper 160s to 170s for your LSAT score, you’re going to need to structure your studying a little differently than everyone else. Test takers seeking a high score have to prepare more thoroughly and with a different focus. Here are the top four tips to getting a high LSAT score. Always start with the easiest questions. Every time you start answering questions for a logic game or reading comprehension passage, make sure you start with the most basic questions. For reading comprehension, these questions will likely ask you about the main idea of the passage. For logic games, it will be a question where you can use your main diagram to answer the question. If you find yourself stuck on a question, move on—don’t lose out on easier points by getting bogged down on a really tough question. There is no penalty for guessing on the LSAT. You have a 20% chance of getting a random choice correct, and your odds go up even more if you can quickly eliminate an answer that looks incorrect. If you’re running low on time and need to make a random guess, don’t waste time deciding what your default answer choice will be. Choose your default answer now—maybe “D” for default? And if you have less than a minute left, bubble in all remaining answers with a D.
While every question on the LSAT is worth the same amount of points, the level of difficulty varies a great deal. If you’re targeting a high LSAT score, you have to get the most complex questions right. But, don’t despair! 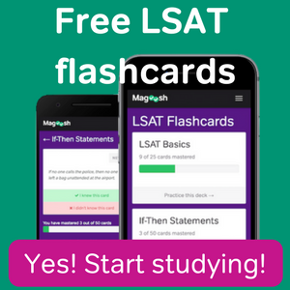 You simply need to focus your study time on the higher-level questions in all sections of the LSAT so you can consistently get these questions right. You can only do this, however, once you have the basics down for each LSAT section. Be sure you don’t move on to the hardest questions until you have a strong foundation for every LSAT section. Start by completing a lot of practice problems and a couple of full-length practice tests. And don’t forget to spend time reviewing the questions you missed—this is the best way to ensure you get those points next time. Then, with that solid foundation, move on to the more difficult questions. To achieve a high score on the LSAT, you have to move through the LSAT with precision. What exactly does that mean? Not only do you need to know exactly how much time you have for each Reading Comprehension passage, Logic Game, and Logical Reasoning question, you must also execute the questions in those exact times. You will need to do a lot of pacing practice to get the timing down. Ideally, all the pacing guidelines will be second nature on the day of the test to get through almost all, if not all, of the questions on the LSAT. So, you need to incorporate a lot of timed practice into your overall studying. Unless you’re working on understanding a new Magoosh strategy for a particular section or question type, your timer should be by your side. Get the timing down perfectly during your studying and get after that high LSAT score! Based on a sample LSAT conversion table, to get a score in the upper 160s you’ll need to correctly answer at least 89 questions. While this may seem like a daunting prospect, it actually means you can miss a handful of questions and still get a high LSAT score. In fact, you can even miss a question entirely and still walk away with a perfect LSAT score. So, this isn’t about perfection. While you’re studying, be sure to keep in mind that you can miss some questions. There are bound to be a few frustrating study days where you miss a lot of questions, and that’s okay—stay focused on getting as many points as possible, not on getting all points on the LSAT. 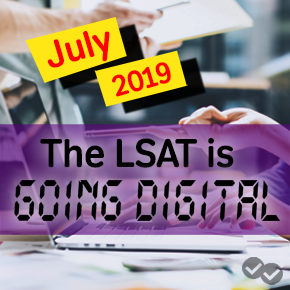 And by the day of the actual LSAT, you’ll be ready to get all the points you need to get a high score! By focusing your time on the most difficult questions and getting the pacing exactly right for each of the LSAT sections, you’ll be well on your way to achieving a high LSAT score. Stay focused on getting as many points as possible on every practice test you take—don’t strive for a perfect score. And remember, you’ll need to dedicate a lot of time to studying to get a high score, so look at the Magoosh study plans to ensure you get the most from your studying!